The Konica-Minolta 7020 can handle the high-volume printing and copying needs of medium or large offices, as well as moderate faxing if users add the optional modem. The device can warm up in as little as 30 seconds, but its ability to print and copy at maximum speeds of 20 pages per minute place it slightly behind the quickest models in its class of laser units. The machine does have an assortment of other features that will allow it to support heavy-duty use, from its high yielding Konica-Minolta 7020 printer toner and adjustable media capacity to its multitasking capabilities and user-friendly tools. 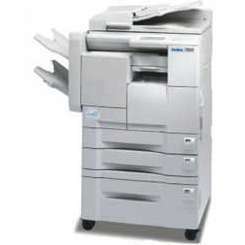 This device bundles a number of key office-centric capabilities, such as automatic duplexing for double-sided printing and copying, a job queue feature to keep multiple projects for different users organized and a standard 16 MB RAM that can upgraded to 80 MB. Automatic finishing options such as stapling, collating and booklet making will also help save busy users time. In addition, the option to increase its paper capacity to a maximum of 2,550 pages and its total monthly duty cycle of 100,000 pages ensures its ability to handle large volumes. The 7020 should be easy to share among multiple users as its ethernet interface will enable it to be networked between more than one computer at once. The integrated web server is also a nice touch, allowing users access to menus and control tools remotely from their desktop over the network connection. 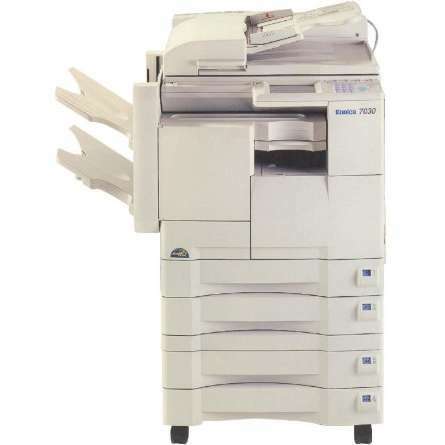 Walk-up use is another option thanks to its intuitive color touchscreen and versatile control panel, which provides direct access to copy, print and fax functions like speed dialing, selecting the number of duplicates and editing capabilities. The machine operates with a single black Konica-Minolta 7020 toner cartridge that works with its print head system to achieve a sharp output and maximum resolution of 600x600 dpi. 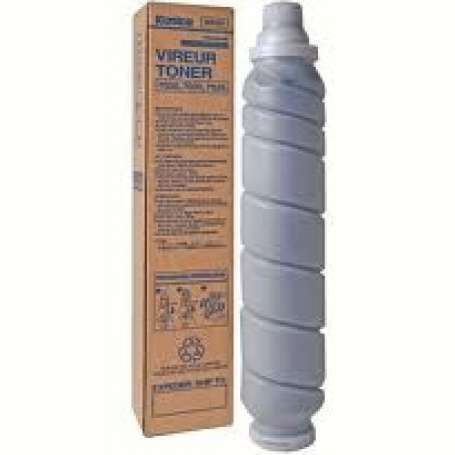 Since the machine only operates with one Konica-Minolta 7020 toner cartridge that can yield up to 26,000 pages, users won't need to replace it frequently. Affordable replacement toners will also enable the device to have low running costs. From its network support and multifunction design to its expandable RAM and paper handling, the 7020 is more than equipped to handle the expanding workflows of busy offices. Further benefiting from inexpensive printing costs and an easy-to-use touchscreen interface, this monochrome device is one of the best options in its class.